With the evolution of online banking, using a VPN has been proven to be one of the best cybersecurity options if you’re looking to keep your online transactions safe. But is the use of a VPN when doing online banking the safest security option? 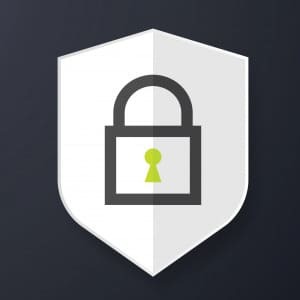 In this article, we will try to look deeper into what a VPN is, how it works, and why it is a safe bet against cybercriminals and other identity thefts. While we can affirm their extra layer of security, we’ll let you be the judge of that. Read on. A VPN is a superb internet tool that keeps your online presence safe and secure. It works by encrypting your sensitive information, right from when it is still on your machine and redirects it to a secure tunnel to your destination. A VPN guarantees no one will have a chance to view your information – even your receiver will only see the data you sent, and not your origin IP address and actual location. Therefore, a VPN is a perfect solution for users looking to keep their browsing activity completely anonymous. When can you use a VPN for online banking? When handling sensitive information while doing online transactions, always use a VPN. Whether you’re trying to withdraw/ deposit your money, paying your employees, or requesting a loan, without a VPN, things can go wrong anytime. Hackers who can access and track your online activities can be disastrous once they have your personal data (financial statements, PINs, and ATM details). When you’re connecting to a public WiFi, remember to use a VPN. Hackers, phishers and other cybercriminals love attacking users connected to public WiFi networks. This is because it is easier than you’re connected to your private network. And once they get access to your financial statements, and account details, they will have control of your bank. While it might seem difficult to crack mobile apps, they’re also easy to track. And for experienced hackers, they can do both. Therefore it’s always safe to use a VPN when trying to access the internet from your phone. A VPN will mask your IP address and location, and give a new untraceable identity. That way, it’ll be hard for hackers to locate and track your app’s activity. What instances is a VPN not going to help you? When you keep changing your locations, banks always demand to be notified whenever you plan to leave the country for security reasons. Therefore, if you keep changing your VPN server location every time you’re using online banking, your bank might flag the activity as suspicious. The bank will then act by either blocking your online transactions. Using a free VPN. We strongly discourage you from using a free VPN when accessing online banking. Free VPNs mostly rely on ads, and other adverts to finance their operations. These ads and adverts could be spoofed, thereby posing a major security threat. When you don’t observe standard internet practices. Using a VPN is great, and it strengthens your cybersecurity. However, its security will be worthless if you don’t practice the correct internet precautions. For instance, failing to update your antivirus, Operating System, or even your browser can be dangerous. Software updates come coupled with the latest security strengths. Thus, good internet behavior is also as necessary as using a VPN. When you don’t observe standard password practices, in 2018, various companies – startups and big firms alike – experienced major data breaches. These leaked data is still out there and can be used anytime by hackers harm you. And if you were caught in the incidences, then a VPN will not help you to get away from these criminals. 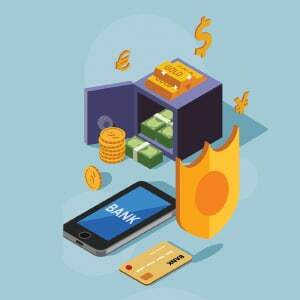 Is a VPN safe for online banking? Yes, a VPN is an excellent internet tool for online banking. This is because the service adds an extra shield of protection against prying eyes of hackers and phishers.